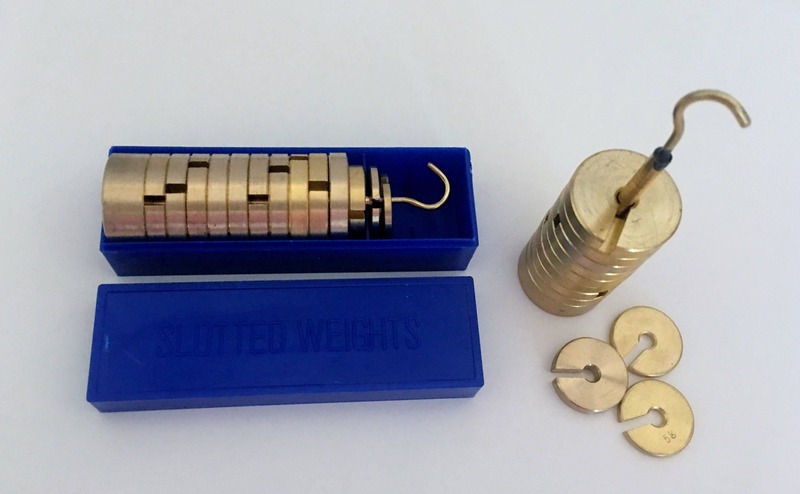 Brass Slotted Weight Set, total 250gm. The design of the slots ensures that the weights can be easily removed or replaced but will not fall off accidentally. Set comes packed in a plastic storage box. These are great! Very easy to use. Thank you for the Jasmine Green Tea! It was very delicious!